Live Narendra Modi speech on All India Radio Updates: PM wishes Merry Christmas and Happy New Year 2015! Keeping in mind that the radio has access in every nook and corner of the country, Modi has chosen the right medium to express his ‘Maan Ki Baat’. Update 11.30: The third chapter of PM Narendra Modi’s ‘Mann Ki Baat‘ comes to an end. Modi concludes his address saying, “People writing letters to me have become a huge inspiration to me. It is my last address to you this year as the next time I will hold this radio program it will a new year- 2015.” Modi wished ‘Merry Christmas’ and ‘Happy New Year 2015’. Narendra Modi also lauded the role of All India Radio (AIR) in translating his speech in vernacular languages so as to reach out to the masses. Modi said that he was delighted that some of the speakers even try to mimic him on the radio program. Update 11.27: Narendra Modi says that the last week meet with the chief ministers of all states was useful as there was no clouds of political intentions. Modi discussed the issues as friends and in the meet, as there was nothing official. Narendra Modi promoted North East tourism saying that if people loved to see Taj Mahal and visit Singapore, they should also visit the North east region of India. It is as much beautiful and is a very relaxing place. One witnesses freshness in no part of India, as much as one does being in North-East India. Update 11.25: Narendra Modi urged the netizens to begin the topic of #DrugFreeIndia on social networking sites and use it as a driving force to make India, a drug free nation. After talking about the issues of drug addiction, PM Narendra Modi talks about the International Yoga Day. Modi says that United Nations has declared 21st June as International Day of Yoga where in 177 countries participating in the event as co-sponsors. It is a matter of great pride for India. Update 11.20: PM Narendra Modi says, “Bad habits among the youth don’t start all of a sudden, as they develop over time. I urge the parents to talk with their children and study the changes happening in their life.” Bringing the Bollywood and sports-persons into the fold, Narendra Modi said requested celebrities, sportsman, and film personalities to spread the message of awareness of drug awareness. Modi also shared the experience as how he met the Indian Cricket Team that won the Blind Cricket World Cup and described their enthusiasm and energy levels. PM also shared that despite heavy floods in Jammu and Kashmir, the J & K Ranji Cricket team could overcome all ills, and defeat Mumbai team in Mumbai; and he respects the courage. Update 11.10: PM Narendra Modi said that drug addiction is a psycho-socio-medical problem. Every person should see it as a problem and not blame the person consuming it. Modi said that the problems of drug addiction is based on ‘3D formula’ viz. Darknesss, Destruction, and Devastation. PM talks about how people in large numbers wrote letters to him and participated actively on social media be it social media or Facebook in large numbers. Modi also thanked people who came forward and put the portal of MyGov to good use. Update 11.05: Prime Minister began his speech by thanking the people for the third series of the programme Mann Ki Baat. Modi says he was here as ‘Prime Servant’ rather than ‘Prime Minister’. Modi says that the issues pertaining to youth is a disease that is plaguing the nation. The parents express their concerns of their children who are involved in bad habits. Modi also shares his experience as a Gujarat Chief Minister as he says, “Drug addiction is evil, the addict is not”. Prime Minister Narendra Modi and his initiated talk-show ‘Mann Ki Baat’ is back and it will be hosted by All India Radio (AIR). It is for the third time that Narendra Modi is set to address people on radio on ‘Mann Ki Baat. The topic for Sunday’s radio program is about the rising drug menace among youth in the country. In his last address on November 2, Modi said that his next address will be on the topic of drugs among the people of young age. The first-of-its-kind initiative by a PM, ‘Mann Ki Baat’ is a radio program which features the Prime Minister of India-Narendra Modi who addresses the nation. All India Radio (AIR) and Doordarshan (DD) also carry the live feed. The live feed of the radio program is also covered by major FM channels. The first live show was aired on October 3 where Modi not only greeted the country on the festival of Dusshera but also spoke on various other topics. The second live program was held on Novemebr 2, where the PM assured people of bringing back black money. Narendra Modi’s last speech was a brief one comparing it to his maiden speech which lasted approximately of 20-30 minutes, this time it is expected to a shorter one. With the radio speech the Modi government is trying to expand to 90 per cent of the population. The repeat telecast will be held on the same day at 8 pm IST. After his speech last time on radio it was reported said Modi will make this exercise a routine, as he will connect with people every fortnight. Modi has been an interacting person and uses various social communication mediums to reach his message across the country. 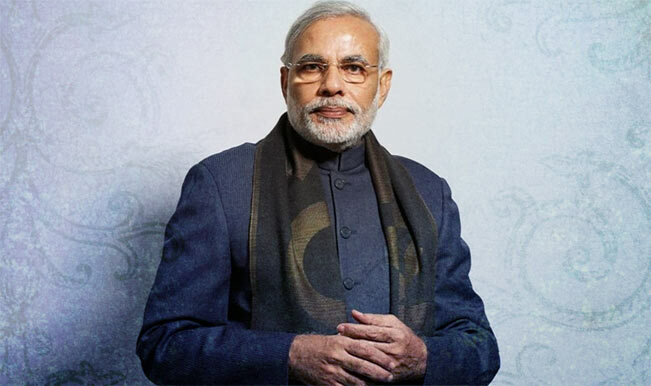 In the past, Modi greeted the country on various festivals and occasion, his speech on Teacher’s Day was among the successful initiatives by the Prime Minister. Keeping in mind that the radio has access in every nook and corner of the country, Modi has chosen the right medium to express his ‘Maan Ki Baat’.